VJBOD (Virtual JBOD) is a capacity expansion technology that allows surplus storage resources of a QNAP NAS to be used to expand the storage space of another QNAP NAS, enabling you not only to create virtual storage pools and volumes on your local NAS, but also to achieve the highest storage utilization of the multiple QNAP NAS in your environment. 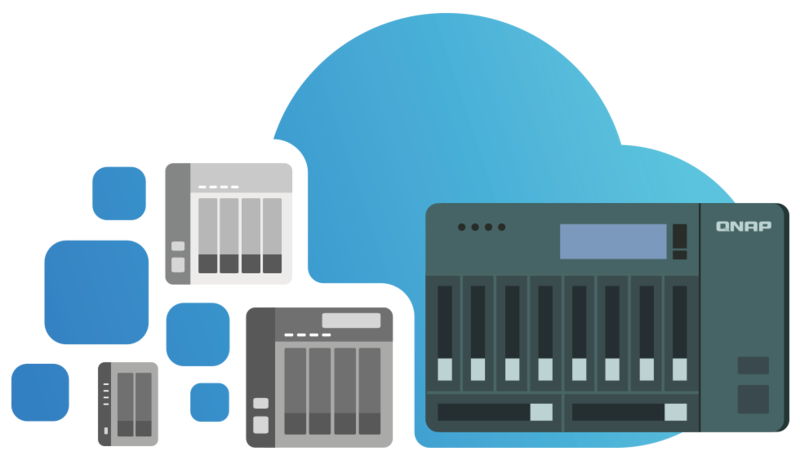 VJBOD is JBOD based on software-defined storage, offering greater flexibility with online capacity expansion over traditional JBOD expansion. Natively supporting iSCSI SAN, VJBOD ensures high-speed transfers with 10GbE/40GbE network connectivity. 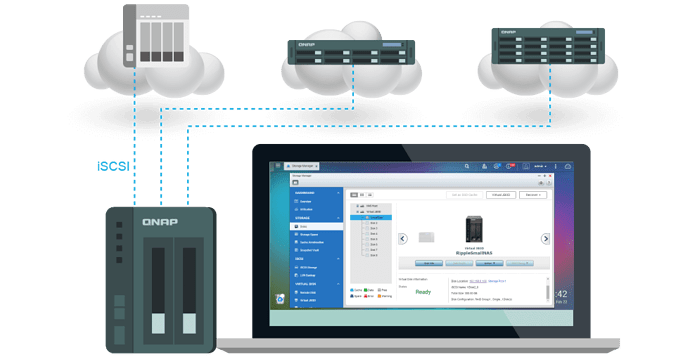 Compared with single-LAN transmission, a QNAP NAS equipped with multiple Ethernet ports supports port trunking (link aggregation) increasing the bandwidth and providing fail-safe connectivity in the event of connection failure. With port trunking, network traffic will also automatically achieve load balancing for every connected device. 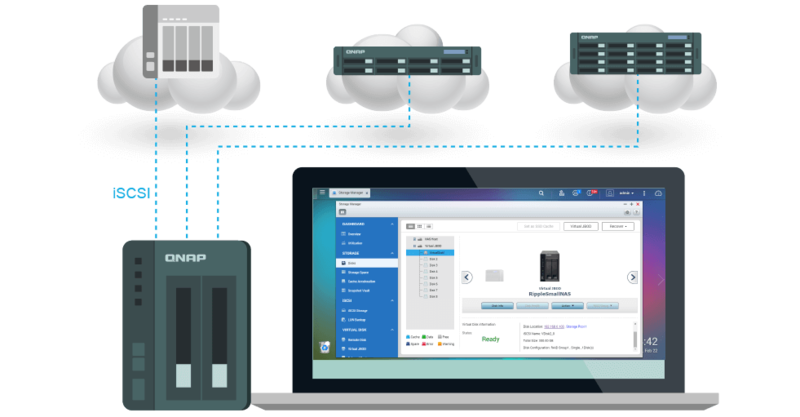 Application Scenario Multiple QNAP NAS units offering storage utilization flexibility while maintaining the highest availability. 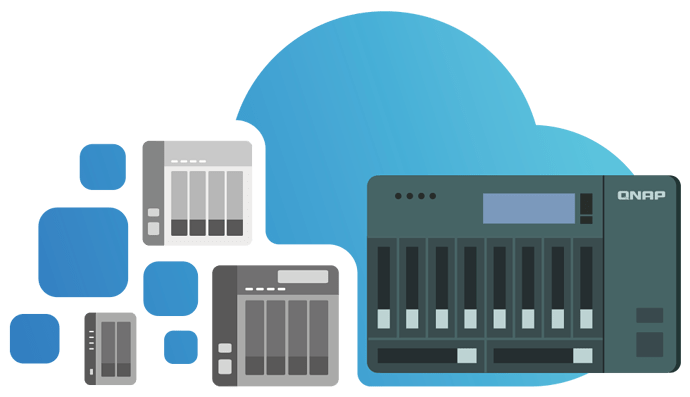 Expand local storage pools on a single QNAP NAS. VJBOD cannot be used to expand local expansion pools. 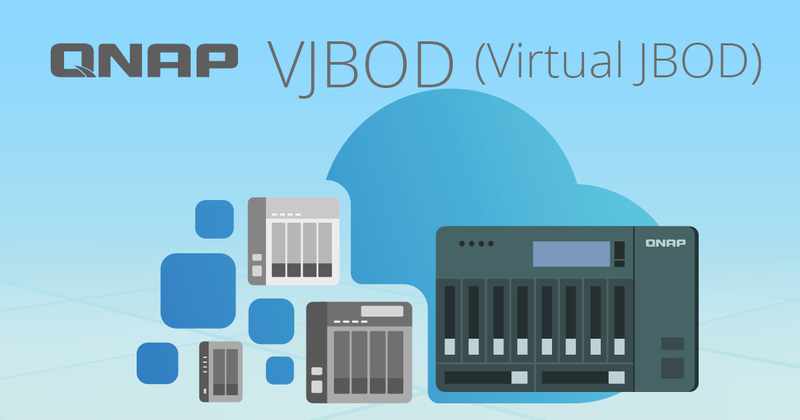 VJBOD (Virtual JBOD) allows you to utilize storage resources of other QNAP NAS and expand the storage capacity on your local NAS.